The previously announced HCS Invitational will be be a part of the SXSW festival in Austin, Texas this March 15th-17th. 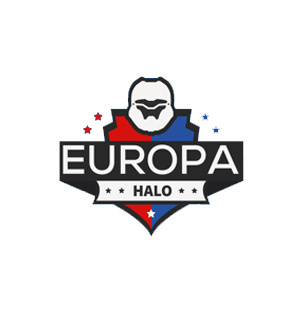 This event is a part of Halo’s goal to present the game and it’s esports scene at larger, pre-existing events in hopes to attract fresh eyes as well as entertain the recurring fan base. The Invitational will consist of five competitions. The main event will be the 4v4 tournament featuring the top six teams from the UGC Halo Classic battling it out for their piece of the $100,000 prize pool. The teams are TOX, Denial, Reciprocity, Lux Gaming, Status Quo, and GMS. The tournament will be double-elimination with TOX and Denial receiving a first round bye. To showcase and continue the support for the Microsoft Store tournaments, four lucky competitors will win a trip to Austin to compete alongside a Halo pro in the Microsoft Store 2v2 Throwdown. North America will be split up into four regions: North East, South East, West, and Central. Each region will be represented by a pro: Str8 Sick – West, Central – Flamesword, North East – Snakebite, and Pistola – South East. The pro’s will be providing instructional videos to help competitors up their game. Competitors who attend both Microsoft Store tournaments (January 27th and February 24th) AND make it past the first round on either date will be entered into a pool where the winners will be chosen at random. The winners will then be flown out to the Invitational to compete alongside the pro corresponding to their region. The game and format for both dates will be Halo 3 2v2. Click here to register. Mixer will be broadcasting certain Microsoft Store tournaments monthly on Mixer Matchups. There will also be a sort-of all-star match taking place, called the Big Team Battle Bonanza. As the name mentions, 16 players will compete against one another in Big Team Battle for some good ol’ competitive fun. The teams will consist of casters, pro players, Grassroots content creators, and fans in attendance. The competition will benefit Gamers Outreach, but the amount donated will be determined by the players competing. More details TBA. The Rivals Showmatch will take two of the biggest players in competitive Halo, Snip3down and Lethul, and throw them into a gauntlet-style competition. The two will choose their teammates and be at the mercy of a spinning wheel that will determine which Halo title, mode, and team size they will compete in. The winner will win $5,000 to donate to the charity of their choice. You can show your support on Twitter with #TeamLethul or #TeamSnip3down. Last but not least, there will be an open, $5,000 FFA tournament available for those with the competitive itch. In addition to all of this, there will be booths available for free-play and Grassroots content creators, Ac7ionman, UberNick, Vetoed as well as not-yet-announced creators will be streaming from the event. You can purchase a wristband for the Invitational at this link. To view the original post over on Waypoint, click here.